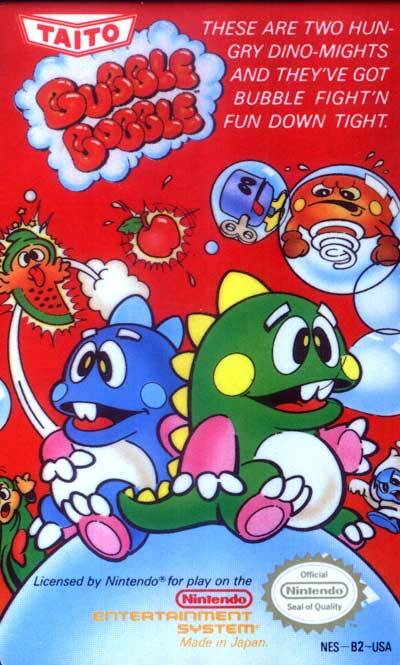 Born from a game called Chack'n Pop came Bubble Bobble, which evolved the series into an iconic phenomenon. Each level (or round) consists of one screen, with no scrolling or flipping. The dragons can move around the levels by walking on platforms, falling through empty space, jumping through platforms from below and (in some levels) falling through holes at the bottom of the level in order to reappear at the top, or even vice versa (see gameplay techniques below). Apart from jumping, the characters can blow bubbles. Bubbles also float in from the top or bottom of the screen in many levels. They pop after a certain amount of time, when they hit the dragon's spiked back, if they're squashed against a wall or another dragon or if they're fallen upon. By holding down the jump button, it's possible to bounce on top of bubbles, which is sometimes necessary to reach platforms. The main objective of the game is to trap enemies in bubbles, and burst them, destroying the enemies.